Omaha, Neb. 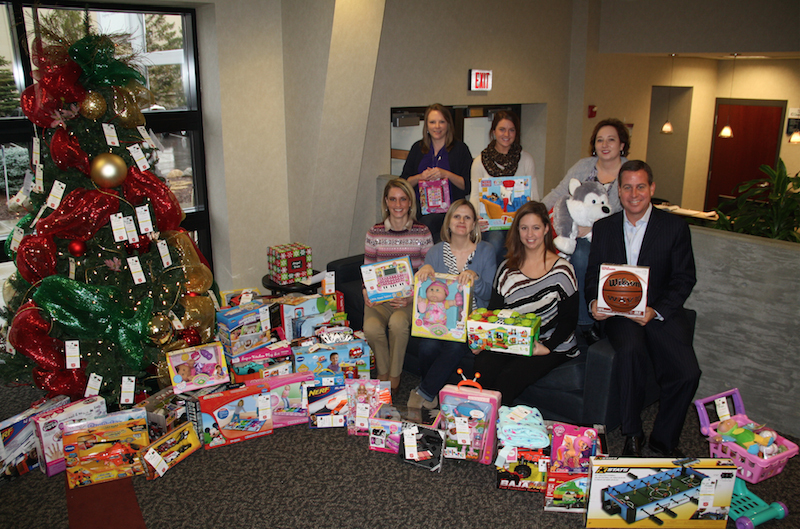 (Dec. 17, 2014) – Employees at CQuence Health Group collected more than 100 toys and nearly $1,000 in total cash donations to fulfill gift requests and provide holiday support for needy families and children. The effort was part of the companies’ annual Salvation Army Angel Giving Tree program, which provides clothing, special-needs gifts and other wish list items to kids and senior citizens experiencing financial hardship. Participation in the Angel Tree program has become an annual event at CQuence and is a part of a larger, internal commitment to volunteerism and helping others through its “CQuence Cares” committee. Mike Cassling, president and CEO for CQuence Health Group, is a member of the National Salvation Army Advisory Board and has served locally with the organization for many years. His commitment to helping those less fortunate is a tradition carried out all year long by those who work at the Omaha-based company, which includes partner organizations Cassling and Ensocare. Additional holiday giving events were organized by the companies’ employees, and included 12 hours of volunteer bell ringing, from which $220.80 was collected for Salvation Army programs and services. More than 50 staff members also pledged to walk 15 minutes as part of a CQuence Wellness Committee stress reduction initiative in return for a $250 corporate donation to the Salvation Army. Finally, employees opted to forego December’s allotment of healthy snacks provided to them as a Wellness program benefit. Instead, $500 will be added to the Salvation Army donation totals. CQuence Cares focuses on improving the community through the support of health-care and youth programs and provides opportunities for employees to be involved in community outreach programs. CQuence Health Group employees are supportive and visible in the community, participating in programs such as The Omaha Food Bank, the Salvation Army Angel Giving Tree and Bell Ringing, and the Back-to-School Backpack drive. Based in Omaha, Neb., CQuence Health Group is the parent company to a growing portfolio of health-care organizations. While all of its companies are diverse, they share the common goal of taking care of the patient through diagnostic medical equipment, care coordination software and other health-care products and services.